Bishop Duppa founded the almshouses for 10 unmarried women over 50 years of age. 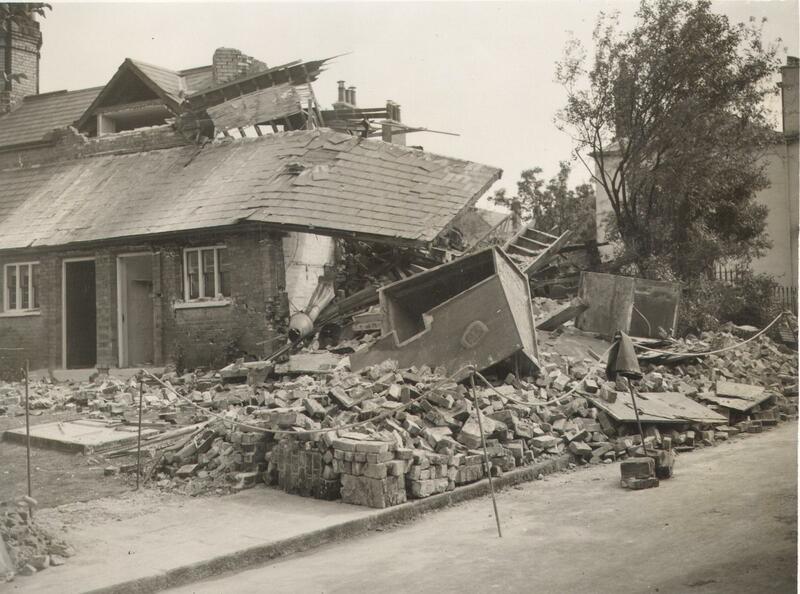 They were first built on Richmond Hill at the corner of Friars Stile Road. Brian Duppa was Bishop of first Chichester, and then Salisbury. He had been Chaplain to Charles I and tutor to the future Charles II. He had remained at Richmond Palace with him until the Civil War. Deprived of the See of Salisbury during Oliver Cromwell's time, Bishop Duppa lived in Richmond – in a house now occupied by the Old Town Hall. At the Restoration in 1660, he was made Bishop in 1661 of Winchester but continued to live in Richmond. Once over the doorstep, the residents had to wear “a gown or coat made of a substantial cloth and of a colour called Bishop’s blue”. If any woman sold her gown within a year of receiving it, she was thrown out. 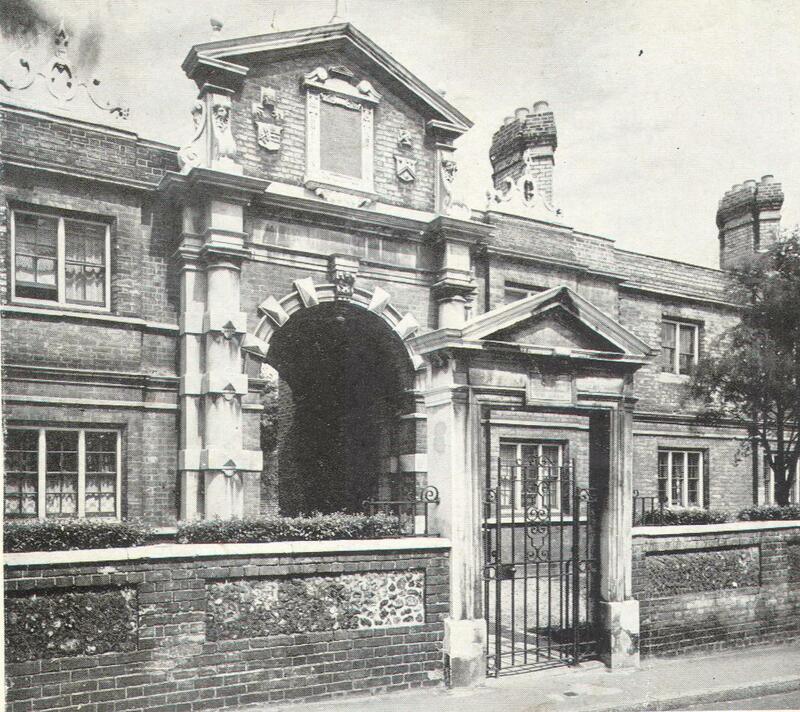 Rebuilt in The Vineyard, next to Queen Elizabeth's almshouses. The land there was provided by the owner of Downe House who wanted to extend his garden into the original site. 1871 Census: 11 'recipients of alms', 3 nurses and a grand-daughter. 1881 Census: 10 almswomen, 2 with daughters, one with a grand-daughter. 1891 Census: 11 pensioners, 1 daughter, 1 grand-daughter, 1 nurse. 1901 Census: 9 pensioners, 3 daughters, 1 sister, 1 nurse. 1911 Census: 10 pensioners, 1 sister, 1 nurse. Founded in 1651 and rebuilt on this location. Jacobean style in grey brick and stone. Five houses on either side of a central archway leading to garden at back. Most of left side restored following bomb damage. inverted consoles, bearing inscription. Prominent chimneys, with sharp angles to road.